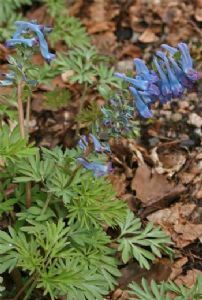 Having bright blue flowers makes this Corydalis stand out amongst other spring flowering Corydalis. 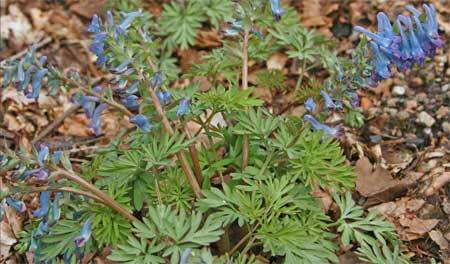 Flowering here in the beginning of May this bulbous Corydalis does well in the open garden gradually bulking up. 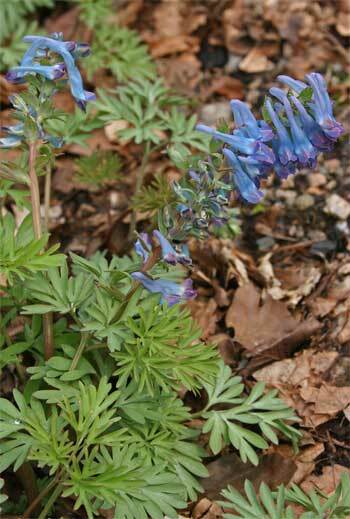 C. turtschaninovii prefers a slightly cooler position than some of the other spring Corydalis. 10cm tall. Plant 5 cm deep in well drained soil with some humus.